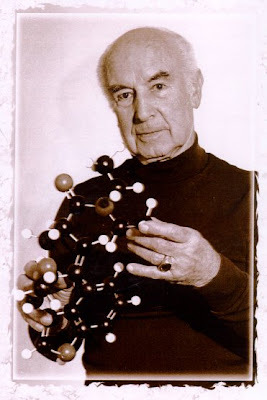 Dr. Albert Hofmann, inventor of LSD, is dead at 102. There’s been some uncertainty on the web whether Hoffman’s passing is just a rumor. However, a call to the Multidisciplinary Association for Psychedelic Studies confirms he died last night in his home in Basel, Switzerland. So this is how it’s probably going to play out. At some point after Thursday’s local election, potentially making use of the ‘burying bad news’ cover the election aftermath will provide, the Government will release the ACMD report that will call for cannabis classification to remain unchanged. The report will acknowledge changes in the cannabis market with a greater prevalence of more potent indoor grown varieties but will say the evidence of risks – that will be acknowledged in detail - have not changed significantly since 2005 and stick to their position that on balance, relative to other classified drugs, C is the appropriate classification. They will clearly state that this does not in any way mean cannabis is harmless, and will probably make some thinly veiled critical comments about how media and political discourse has distracted from rational analysis of the science. Since the committee’s report has already been leaked and its headline call exhaustively discussed the detail of the report will probably not garner much coverage; this is a shame as the report will doubtless be a thorough and authoritative review, but editorial lines have largely already been determined and political positions most certainly have. At some point next week Brown will announce his intention to reclassify regardless – his slow drip drip of public pronouncements that this is his intention have made this increasingly clear. Even if the ACMD report offered him an ‘out’, it seems clear now that the ‘leaks’ from ‘government sources’ -that he has made no effort to contradict- indicate his mind is made up. He will offer some sort of rhetorical sop to the ACMD but will argue for the change deploying much of the same science-free moral posturing that has characterised his recent comments. He will be bolstered by two main rhetorical planks. Firstly the Government will make sure some suitably alarming new evidence on ‘skunk’ is released, probably on the same day as the Brown announcement. This is likely to relate to the (neither new nor especially alarming) fact that ‘skunk’ seizures now suggest an increasingly saturated market (it will have probably already been described in the unread detail of the ACMD report). No mention will be made of the role of profit driven illicit market economics in fueling the 'skunkification' of the UK market – although if we are very lucky the ACMD might just – at a push – allude to this analysis (but i doubt it). So the first plank of the case will be established by tapping into the current media skunk panic. The second will be to refer to the ACPO support for the move back to B (and probaly - to a lesser extent - support from some on message magistrates and mental health charities). The authority of the police is hard to argue with in the public mind and the panic inducing rhetoric of ‘cannabis factories’, especially the ones staffed by foreigners, provide a potent narrative for justifying a punitive crackdown. The ACPO call has been a stinker; I sat though the intellectual and empirical wasteland that was their presentation to the ACMD, and their written presentation, (which I have also had the non-privilege of reading) covered much the same territory. The case is nominally based on two things; their concern for skunk and mental health, an arena in which they have no expertise and that has clearly been informed by media panic rather than an academic literature review (they should obviously defer to the ACMD but have jumped the gun, like the PM, and pre-empted the experts conclusions, defaulting to the Daily Mail position). And secondly, on the growing problem of ‘cannabis factories’. As has been discussed previously this enforcement argument is disingenuous as the penalties for supply of class C drugs were increased to parity with class B when cannabis was moved in 2004 (14 years for supply - hardly a 'soft on cannabis' position but there you go). So a move back to B will have precisely zero impact on cannabis supply penalties (which will stay the same) and any corresponding deterrence, even on the un-evidenced assumption that any penalty increase would have deterred some production/supply (it clearly wouldn't). If the police are concerned about cannabis factories they are free to prioritize and direct more enforcement resources at them – changes in classification are entirely irrelevant and claiming otherwise is simply misleading. Want to place bets on which ACMD members voted for the move to B? For ACPO this is all about politics. The Government have enormous power to wield over the Police – and clearly have done just that; ACPO have been unfailingly compliant on Government drug policy decisions, they supported the original B to C reclassification, they supported the 2005 Drugs Bill (all 21 controversial clauses), and now they are supporting the re-re-classification. Its almost spooky. Trying to think of the last time ACPO (or Sir Iain Blair) defied the Government on drug policy? Don’t bother – it’s never happened. If the public health arguments aren’t there to support increasing penalties against drug users the Government can always appeal to popular fears about crime. ACPO have been pressured to provide the Government with the required moral authority and they have dutifully delivered. So, what is the best we can hope for? As Paul Flynn MP has described, in some ways the Government on drugs is a bit like a duck; on the surface shouting 'tougher tougher', but underwater, desperately paddling in the direction of pragmatic harm reduction. So can Brown have his cake and eat it? Perhaps to some extent. It is not unlikely that Police guidance on cannabis arrests will remain the same, with the discretion to use warnings, cautions or arrests which exists now will not be made more punitive, and in fact – for all the bluster and posturing, street level enforcement will be largely unchanged – bar a few high profile crackdowns for the cameras. There doesn't seem to be any real appetite from anyone for mass arrests and more criminalisation of young people (so why... but.... hang on...I don't follow.....). The small band of anti-cannabis fanatics for whom re-re-classification has assumed near religious significance will doubtless smile in triumph at the victory in their titanic battle against the evil scourge, safe in knowledge that now everything will be fine (probably hypocritically toasting victory with lashings of the legal stuff). Their conceit that there has been a seismic shift in the political culture will probably be no worse than that of the cannabis evangelists four years ago. They were both wrong. Classification isn’t symbolic of anything other than the cyclical interplay political spin and media headline chasing, and the ground level change itself will make little or no difference to the millions of users who simply couldn’t care less what Jacqui Smith has to say about their leisure time, even if they actually know who she is. The real difference will only come when consenting adult use is not only decriminalised completely, but production supply is brought back within the law and properly regulated. It will take the non-impact, or active costs, of the latest change to put that debate meaningfully back on the mainstream political agenda (in this backward country anyway). These things seem to go in cycles so we will be back here again in a couple of years. This piece from the Western Mail, on 21 April, 'Discredited drug policy must change', articulates cogently why prohibition must be 'audited' from a public health and wellbeing perspective. The writer Paul Crawford Walker is also Chair of Transform's Board of Trustees. Transform has argued for nearly a decade that prohibition, at the least, must be subject to a thoroughgoing impact assessment - health and wellbeing, social and financial costs and benefits must be accounted for and made publicly available. Transform produced a briefing on this, and it subsequently became part of Lib Dem party policy. Why not drop your MP a letter calling for an impact assessment of prohibition and ask them to pass it on to Rt Hon Yvette Cooper MP Chief Secretary to the Treasury. As Gordon Brown apparently prepares to ignore his own expert advisers and side with the tabloids in rehashing our cannabis laws, he has well and truly jumped aboard the skunk-panic bandwagon - declaring on GMTV this morning that it is 'lethal'. On the Comment is Free blog someone has posted some historical reefer madness quotes under an excellent piece from Paul Corry from the mental health charity Rethink. Here they are for your reading pleasure, with Gordon Brown's earning his place and now joining them at at the end. ". . . The dope begins its DEADLY WORK of arousing SEXUAL PASSIONS . . . with no restraint as to COLOR or RACE!" "marihuana leads to pacifism and communist brainwashing!" "A California man decapitated his best friend while under the violent spell of the smoke!" "Under [MARIHUANA'S] influence, prison inmates fall desperately in love with each other, just as they would with women outside prison walls!" "Was it marijuana, the new Mexican drug, that nerved the murderous arm of Clara Phillips when she hammered out her victim's life in Los Angeles? . . . three-forth's of the crimes of violence in this country today are committed by dope slaves - that is a matter of cold record." "Marijuana leads to homosexuality . . . and therefore to AIDS." "Marijuana is ten times more dangerous than twenty years ago." "The shift to Class C - which meant most users faced a simple ticking off if caught - has coincided with an explosion in drug crime and several brutal cannabis-related murders." "Cannabis 'is making teenagers impotent', say doctors"
"(But) I think people know my view about cannabis and particularly about this lethal version of it, skunk." Buenos Aires, April 23 .- A federal court in Buenos Aires decriminalize individual consumption of drugs in the Argentine capital, which would, in the process, anul thousands of cases of persons accused of possessing small amounts of marijuana, according to the judgement published Today the press in Buenos Aires. The ruling states that the Board of 1 Federal Chamber of appeals declared unconstitutional sections of the law that punishes drug users, enacted in 1989. The rule punishes consumers questioned on the grounds that are the backbone of a chain that ends in drug trafficker. But the court ruled that such a presumption only generated "an avalanche of records for consumers without achieving move up the chain of trafficking" in drugs. The ruling was applied to the case of two youths arrested by police for possession of marijuana cigarettes and pills of ecstasy when attending a celebration of electronic music in Buenos Aires in May 2007. Although the issue should be settled in the Supreme Court, the court's ruling in Buenos Aires is in line with government policy Cristina Fernandez de Kirchner in favour of reforming the laws to decriminalize drug use. During the 51 Special Session of the Economic and Social Council of the UN, held last month in Vienna, the Argentine Minister of Justice and Security, Anibal Fernandez, raised the "complete failure" of the policy of punishing drug users. So it would appear that in the federal court has done more than establish case law and will apparently have a retrospective impact on previous convictions. Unfortunately I don't have much more information or details at this stage, but this is apparently only one case in one Buenos Aires federal court, although there is another similar case pending in Argentina's supreme court that could have a similar impact but on a national scale (more details from Argentinian readers are welcome). It is important to make it clear that we are not talking about any form of legally regulated drug supply in this case. 'Decriminalisation' in this context and its usual understanding in drug policy discourse refers only to the actual or de-facto removal of criminal sanctions for personal possession and use, and does not effect the criminal markets that supply users. Moves towards decriminalisation of this kind have already occurred in a number of countries in South America, with other actively discussing it (including Brazil, Colombia, Bolivia, Venuezuela, Honduras and Equador) and elsewhere around the world including Western Australia, The Russian Federation, Portugal, Spain, Italy, some German Lander, Switzerland and the Netherlands. For cannabis only the list is much longer and includes 13 US states. In practice, such 'decriminalisation' takes a range of administrative forms. In some cases the criminal sanctions remain but are not, or are only rarely enforced (for example, the Netherlands), whilst other states have translated formerly criminal punishments into administrative or civil sanctions that are responded to with a fine (Spain) or other sanction (suspension of drivng license in Italy, following a similar constitutional challenge), or combination of civil sanctions with a potential treatment referral (Portugal). 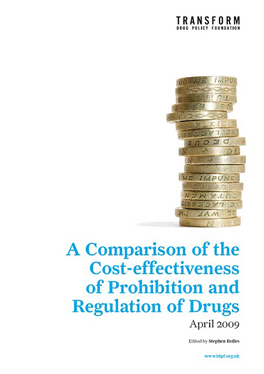 This EMCDDA briefing provides more detail about decriminalisation in Europe. Such moves can be seen as testing what is allowable within the spirit of the UN conventions (to which almost all states are signatories , and that possession is punishable but does not specify the penalty), but despite the not infrequent protestations of the UN convention's nominal enforcers, the International Narcotics Control Board, the moves do not violate the letter of the convention wording in technical terms. That South America is, like Europe, providing a pole of reform states moving away from the heavy handed punitive approach to drug users is perhaps unsuprising. The continent has suffered more than most from the - as the Head of the UN would put it - negative 'unintended consequences' of enforcing prohibition. (The most destructive of the continent's prohibition-related problems relate to the production side of the illicit drug phenomenon and this broader debate is also active at a high level, and gaining momentum). For many South American countries, whilst sharing the global consensus in seeking to reduce drug related harms, there is a growing understanding some of the more oppressive and counterproductive elements of drug control reflect an outdated US mindset, and pressure to conform via the US/UN drug agency axis increasingly feels like imperialist imposition. Mexico provided a recent example of how such moves have been dramatically stifled by US pressure. The media circus that is the London mayoral election becomes more and more like a Punch and Judy show and less like a meaningful policy debate each day (and yes, I actually sat through the Question Time debate last night). Still, the outcome will have little impact on drug policy development or implementation in London whoever wins, since the most important policy decisions are still made centrally (or by individual police forces), and anyway, there doesn't seem to be much to choose between Boris and Ken's positions on drugs, or that of the parties the y represent. His short answer in the Sun seems to differ from this position somewhat and is otherwise rather empty and unhelpful, as indeed have been the answers from all the three main candidates on the drugs issue (see here, page 7, for a deeply uninspiring summary compiled by LDAN). Whilst Paddick comes out on top from the reformers perspective but this isn't terribly surprising as he came to prominence largely because of his progressive position on drugs in the first place and also because the representative of the 'big three' party with the most forward thinking drug policy by a long stretch. Like his party he has a sound position but doesn't choose to broadcast them, and anyway, he's evidently not in the running anyway with only about 9% on most polls. 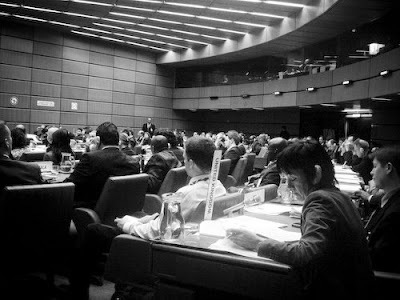 At March's UN Commission on Narcotic Drugs in Vienna I had witnessed at first hand the painful process of some of the more progressive countries trying to have a resolution on human rights compliance in international drug policy adopted, against the express wishes of small group of opposing countries, perhaps unsurprisingly made up largely of some of the world's most notorious human rights abusers. It was a welcome experience to be genuinely supportive of the UK's official high level efforts in the international arena, and impressed by their principled commitment to human rights despite potential political or diplomatic costs. The UK delegation was notably supported by various NGO partners, most prominently the IHRA HR2 team who deserve particular praise for their expert input on points of human rights law. The human rights resolution has now been published in its final form - which is notably different from that in which it was originally submitted to the CND's Committee of the Whole for discussion (the COW is the sub-committee that discusses resolutions that are then agreed in the main plenary session). The COW's deliberations were often tortuous with hours spent wrangling over seemingly irrelevant tweaks in precise wording of specific sentences or the positioning of a punctuation points. Petty disagreements between countries, often evidently reflecting wider geo-political tensions that had little to do with the matters being discussed, were frequently played out in tense and protracted head to heads over minute often pointless details. Some countries (most prominently and perhaps least surprisingly; China), tried to have the resolution scrapped altogether, whilst others insisted that key sections be dramatically revised or removed completely. Notable casualties of this lengthy editing purge were any references to the rights of indigenous peoples (from countries with particular indigenous peoples issues), and any references to the death penalty (from retentionist states) although the issue of the use of the death penalty in drug enforcement practice loomed large elsewhere in the CND. 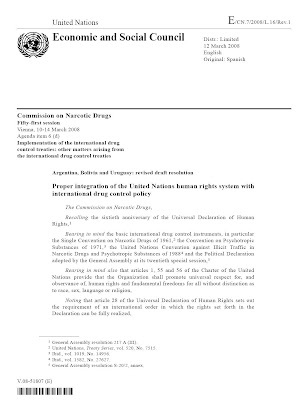 The other most notable change from the original text is the drastic excision of any real operational elements within the resolution relating to effective monitoring and reporting on human rights compliance in drug enforcement or any deadlines or commitments for the UNODC itself. Instead what remains is a worthy but essentially toothless re-commitment to the broad human rights principles of the UN. None the less this still represents a substantial achievement for the nominating countries, as the first time that a human rights resolution has been passed by the CND in 51 sessions, as a useful starting point in developing future resolutions and policy discussions on human rights at UN level (it prompted several hours of unprecedented debate on the issue in the plenary), and as a real achievement for NGOs and civil society engagement with the CND. Despite other frustrations with the leaden bureaucracy's of the CND more generally, the NGO involvement in the process can be seen as positive step forward at this important juncture in UN drug policy with the 10 year strategy review approaching. For related discussion of current UN drug policy issues see also the new Transnational Institute UNGASS 10 year review page. Transform will be attending the UN's NGO forum 'Beyond 2008' in Vienna in June (where the reports from the 8 regional consultations will be discussed and synthesised into one final report to be submitted to the 2009 CND as it deliberates over the next ten year strategy), as invited delegates and in our capacity holding special consultative UN ECOSOC status. At first glance this clip seems like something from Onion News Network, or The Day Today , but no, this really is a KCTV news item about kids 'as young as five' selling sugar and Kool-Aid powder in 'plastic bags' and calling it 'happy crack' (Kool-Aid, the popular US powdered fruit drink, it turns out was called 'fruit smack' in its previous syrupy incarnation). Make of the clip what you will; worrying sign of the times and harbinger of an epidemic of child sugar snorting (send in the Black Hawks! ), or media-hype drug-panic news-filler based on one kid who stayed up past bed time the previous night copying something he saw of CSI. The following article from Danny Kushlick, will appear in the May issue of Oxford University's student magazine 'Oxford Forum'. It'll be a companion piece to an article by Dr Raj Persaud in which he declares that smoking skunk is like playing Russian Roulette. Many times over the last ten years the Government has repeated its assertion that being ‘tough on drugs’ means backing prohibition to the hilt. But is it protecting those it claims to, or is it a racket? All the evidence shows that illegal drug use has increased massively under prohibition. In 1971 when the Misuse of Drugs Act came into force there were about 5000 heroin users. There are now over 300 000. Hundreds of thousands more use cocaine and ecstasy and millions regularly smoke cannabis. None of these users has access to minimum standards in quality control or product information (including levels of concentration or safer use guides). Entire nation states have become politically and economically destabilised as a result of becoming dependent upon the illegal drugs trade; witness Afghanistan, Colombia, SE Asia and the Caribbean. The economics of prohibition are simple: a totally deregulated supply chain that is heavily demand-led creates a situation where very low value agricultural produce becomes literally worth more than its weight in gold at the point of retail. Profit margins of 16 000% attract organised crime and paramilitary organisations. Peasants are forced to grow opium and coca for the cartels and warlords in order to survive and poverty stricken individuals in transit countries become drug mules to make an ‘easy’ buck. At the consumer end, turf wars become endemic and property crime soars as dependent users resort to property crime to support their habit. (It is now estimated that in the UK half of all property crime and half of the prison population exists because of fundraising to support a heroin or crack habit.) The Home Office estimates the crime costs of heroin and crack use at £16 billion a year. Added to which the UK illegal drug trade is estimated to be worth £7 billion a year. The estimate for the global turnover in illegal drugs each year is $320 billion. During the general election campaign in 2001 I asked Tony Blair at a public event whether prohibition created more crime than it solved. His answer: “I’m terrified for my kids.” This is a prime example of the way that fear is used to create the perception of a great threat to the section of society that is generally recognised as being the most vulnerable and therefore, the most in need of protection. Any evidence that shows that the current regime might increase harm to this group must be dismissed through politicians’ articulation of an imminent terror. One has to ask, who and what exactly is being protected by prohibition? It certainly isn’t the children running drugs on UK and US sink estates or the children of opium and coca growing peasants, for whom Gordon Brown’s heart so obviously bleeds. Given that prohibition demonstrably puts children (and adults) at increased risk, for whom does the racket work? As described above, it is the global regime of prohibition that creates what appears to be an external threat. The Government (wittingly or not) maintains that ‘threat’ and then ‘extracts’ further money to pay for the continued enforcement of the prohibition. Lastly it ‘extracts’ far more again for the costs of the collateral damage that accrues from pursuing a war on drugs. And so it goes. But the racket doesn’t end there. Our taxes spent on pursing prohibition effectively pay for the populist grandstanding of power hungry politicians, for whom drug war rhetoric is high value political capital. The racket also fills the coffers of enforcement agencies, intelligence agencies and the anti-drugs military forces. As explained above, global prohibition effectively acts as a price support mechanism for illegal drugs and provides a monopoly supply for organised crime. Under the auspices of the ‘war on drugs’ the US engages in imperial adventurism in parts of the world in which it wishes to have influence. The brilliance of this racket is that anyone wanting to quit paying ‘protection money’ will be vilified as being ‘soft on drugs’. This analysis becomes even more obvious in the political parties, as those who depart from the status quo are whipped back into drug war ‘racketeering’. This is not to suggest that prohibition is based upon a conspiracy of government agencies to extract money from unwitting tax payers. The prohibition ‘racket’ arises from an historical accretion of influences that have created perverse opportunities for some very powerful entities that will make the most of the situation, for as long as they can. But the status quo is not tenable in the longer term. The argument for legally regulating drugs is counterintuitive, does not lend itself to simple sound bites and is no panacea for promoting children’s wellbeing. However, legal regulation is the “least worst” solution, the only effective, just and humane system for managing the trade and use of powerful psychoactive drugs. Increasingly the prohibition racket is being exposed to the light and this, combined with prohibition’s inherent ability to produce precisely the opposite of what is claimed for it, make it a very fragile policy. Transform believes that we could put these ‘racketeers’ out of business within a decade. Then, perhaps we could explore how we might better protect our children. Both articles are revealing about the way that commentators portray drugs in the media. Finkelstein’s piece uses an attention grabbing headline to discuss a wide range of issues, that stem from his reading of Lord Owen’s book In Sickness and in Power: Illness in Heads of Government During the Last 100 Years. What is it about politicians using drugs (including alcohol) that gets columnists so exercised, at the expense of real scandals? In 2005 Transform reminded the press that David Cameron had sat on the Home Affairs Select Committee when it called on the Government to initiate a debate on alternatives to prohibition at the UN. Almost immediately the story had changed as Andrew Rawnsley began asking Cameron if he’d used drugs ‘I may have done him a favour’, thereby replacing the political story with a potentially scurrilous drugs expose. In fact Rawnsley did him a far bigger favour than he realised by taking the attention away from Cameron’s once rational take on drugs. I love the idea of an independent medic getting the PM to succumb to a sobriety test before taking part in significant meetings – closing his eyes and touching his nose with his forefinger whilst whistling Land of Hope and Glory perhaps. Better than that, let’s make him explain to an independent consultant how international drug prohibition is good for planet earth before making statements in parliament talking up the war on drugs. For here is the real scandal: politicians who are not under the influence of drugs are lying to us about the success of the war on drugs, and keeping schtum about the overwhelming human and financial costs of global prohibition. Transform has always been clear that, outside of certain safety critical positions, drug use per se is not the key issue in the workplace, it is fitness to do the job. We have, in the past, called for competence testing rather than drug testing in the workplace. It is up to all of us to hold the executive to account on the basis of their political competence, rather than their drug use. And support for failed absolutist prohibition is a clear indication of lack of competence. Purves’s anger and frustration comes through very strongly, but you have to ask whether damning drugs is of any use. Damning drugs has the effect of pushing them into some nether world, along with those who use, sell and produce them. It is demonisation in action and it is singularly ineffective, unjust and inhumane. Ultimately it is what led us into our contemporary drugs prohibition in the first place and to a great extent provides the glue that holds it together still. We rarely hear commentators crying out: “Damn the wine”. But we did in the US in the 1920s and, as a result the US suffered for thirteen years from the horrors created by alcohol prohibition. Acceptance of the reality of drug use, the full spectrum of behaviours from beneficial through to problematic (including drug-related death), is key to developing a rounded and rational attitude to both the substances and the policy that surrounds them. I have nothing but respect for anyone who is grappling with the internal contradictions that many experience when they tackle this emotive area, something I wrote about in the Observer in 2002 , ‘Legalising drugs will save lives’. Lastly, the letters page in today's Times contains three letters under the title: 'Should we ban drugs, or just regulate supply?' . You can submit comments below the letters. Jury duty: participate, deliberate and then just say no! At some point in our lives, most people will be called up for jury duty. So the question is; if you oppose the drug laws, how best do you use this opportunity to highlight the failure of prohibition whilst still fulfilling your duty as a citizen? A debate was had in the Transform office about whether it is best to state one’s opposition before being selected for a drugs trial or whether to keep quiet until the jury retires to consider the verdict. The topic was first raised in the office after reading an article in Time Magazine by the writers of hit US TV show The Wire. Speaking to legal representative at one of the UK’s foremost drugs and legal advice organisations, they also highlighted the role of ‘jury equity’ as a way of giving members of the jury a chance to participate in our democratic system and express their views on the rights and wrongs of the law. So if you want to articulate your opposition to the drug laws when it comes to jury duty, participate in the trial and keep your views to yourself until the time comes to deliberate on the verdict. At this point you can voice your opposition to prohibition whilst still carrying out your duty as a member of the jury. Cannabis can be very bad for your health, but especially so when it is contaminated with glass beads or, as is reported in the the April 10th issue of the New England Journal of Medicine, with lead - causing 29 cases of lead poisoning in the Leipzig area of Germany, 16 of them emergency admissions (read a pdf of the report here). Such are the whims of totally unregulated illegal markets controlled by profit seeking criminal entrepreneurs. "The current working hypothesis of the police is that because of its high specific gravity and inconspicuous grayish color, lead was used to increase the weight of street marijuana sold by the gram and thereby to maximize profits among dealers. In the material that was obtained, the lead content on average was 10% by weight, which translates into a profit increase of approximately €1,000 ($1,500.00) per kilogram of marijuana. Lead particles smoked in a joint, which can have a core temperature of 1200°C, are very effectively absorbed in the respiratory tract." There can, therefore, be no doubt that this episode was a direct result of the illegal status of the drug and the fact that it is supplied through criminal channels that are entirely free of the quality controls we expect for legal drugs such as alcohol and tobacco, prescription drugs, or indeed State or Federal Government supplied medical cannabis in the US and Canada. Traditional use of coca in the Andes has been an unfortunate casualty of the emergence of widespread powder and crack cocaine use in the West over the past four decades - or, more specifically the increasingly militarised efforts to eradicate cocaine production. Whilst all containing the same drug, powder, and in particularly crack cocaine have presented some serious public health problems (because they involve dramatic increases in the dosage ingested - over a much shorter time frame), that have never been experienced amongst coca leaf chewers or with coca tea consumption. Whilst the international legal framework in the form of the UN drug conventions has made some efforts historically to accommodate the issue of traditional use of certain drugs, traditional coca use has been particularly effected by attempts to eradicate the plant as a way of stopping cocaine production and use. These attempts have all failed, consistently over a number of decades now (production has more than kept pace with rising demand), despite many billions being spent on crop eradication, various military interventions, and alternative development. The reasons for this systematic failure concern the unforgiving economics of supply and demand in a completely unregulated illegal market - and are not disputed even by the head of the UN agency that nominally oversees the enforcement of eradication efforts, the UN Office on Drugs and Crime (see here and here for example). There have, however, been a series of unintended consequences of these eradication efforts - not least human rights abuses, violence, environmental destruction, and destabilisation of rural Andean communities that have grown and consumed coca leaf for centuries, but have never had anything to do with illicit cocaine production. Even for those where there has been some cross over into production of coca for non-traditional production, their problems are a direct consequence of externally imposed enforcement of prohibition and the illegal market it creates to serve demand for cocaine in the West. This new short film produced by the HCLU explores some of the history and recent developments in the clash between traditional coca and cocaine eradication/interdiction efforts. The interview with the Bolivian minister was filmed at the recent UN Commission on Narcotic Drugs in Vienna where the coca question loomed large following the UN International Narcotics Control Board's recent call for coca chewing and coca tea to be eradicated entirely. At that CND I remember thinking it ironic how the INCB members had emerged from a closed session discussing this very issue (prohibiting and crimnalising coca leaf and coca tea, mild stimulants associated with no significant health risks, and arguably some benefits) only to adjourn to on the Vienna International Center's numerous coffee bars and enjoy a selection of cappuccino's, espresso's and lattes. Perhaps if we can find some people in another continent who are abusing pro plus caffeine pills we can then arrange to have the INCB arrested and sent one of those charming Bolivian jails? Just what is it about cannabis that makes certain politicians act so bizarrely and disconnect from reality is such spectacular fashion? And this is without even smoking it (although actually, most of them have). Moreover, there appears to be a sort of dose-response effect in evidence: The more senior they get, the more deranged they seem to become. Look at how Cameron has metamorphosed from a pragmatic backbencher and member of the Home Affairs Select Committee in 2001 calling for cannabis to be reclassified from B to C, into a classic reactionary-right drug warrior, now as party leader, calling for it to be moved back from C to B. And see how Gordon Brown, who never made a peep about drug policy before becoming PM, is now grabbing any opportunity to wheel out his new tough line advocating mass criminalisation of young cannabis users (no child left behind) as a way of asserting his prime-ministerial strength and moral fortitude. Rational thought, it appears, is the first casualty of a drug war. As anyone who has been following the seemingly endless (we are now in year 7) cannabis reclassification shenanigans knows, last week Gordon Brown strongly implied that he planned to reclassify cannabis from C back to B regardless of what the Advisory Council on the Misuse of Drugs recommends at the end of this month (but with all the serious money, and BBC leaks, on them calling for it to stay in C). In case you don’t know the ACMD are the 30 or so Government appointed scientists and experts from the drugs field who have recently completed their marathon 4-day literature review and public consultation on the B/C question. ‘Ignore the experts and reclassify cannabis’. This veritable beacon of endarkenment thinking comes from Debra Bell, whose ‘Talking About Cannabis’ website and campaign (built around her experiences of her son’s cannabis problems) is the perfect example of precisely why science based policy decisions should be made by committees of experts and not distraught parents. Whilst Debra and other parents or carers who have been through similar personal tragedies deserve our sympathy and should of course be heard (and to give the Council credit, Debra was amongst those invited to present to the hearings in March), policy decisions, such as drug classification, that are very specifically based on science based literature reviews and objective harm rankings, should be left to the scientists. poster from a from a previous generation's cannabis panic, US 1938. The classification system is – as Transform have long argued - horribly flawed, outdated, and ineffective, but when it comes to the science based harm rankings that at least nominaly constitute the basis of the ABC system, that is, for better or worse, what the ACMD do. 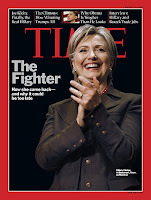 In fact it’s almost the only thing they have time for, not least because they have to do virtually the same cannabis review of the virtually the same literature (and, surprise surprise, come to virtually the same conclusions) every couple of years, just to satisfy the tabloid driven political whims of successive political leaders. As the blog has already highlighted, it is bizarre, not to mention intellectually offensive, to ask a panel of your own appointed experts to review a body of evidence and make recommendations (at considerable tax-payers expense – how many tens of thousands did the recent review cost?) only to declare you will overrule their decision if it doesn’t go your way before its even published. Brown’s almost Mugabe-like denial of evidence could not be clearer. Ignoring or overuling the Council's finding would be one thing, but incredibly Brown was proudly making his intentions clear before the ACMD had even begun their deliberations, let alone report back to him, on the expensive and time consuming review that he ordered be undertaken. "education does work and what we do know that criminalizing young people, forcing it underground and giving criminals the ability to make money in the black economy is not the way to tackle the problem. In Holland where they did decriminalize they had much lower domestic use of cannabis than we have here where we have criminalized so I am interested in what works"
‘very dangerous for politicians to ignore expert advice when they have asked for it’. It is notable that if Brown does overrule the ACMD’s decision, having specifically requested their opinion it will be a first in the Council’s 37 year history. ‘has been an evidence-free zone that is rich in prejudice, ignorance and denial’. ‘we need to ensure that our decisions are based on evidence and science if we are serious about tackling… drugs’. Much of the current hysteria regarding cannabis at present revolves around the increasing market prevalence of more potent cannabis, mostly indoor grown varieties that the media and political discourse now blanket terms ‘skunk’ (as if it is somehow an entirely different drug or plant to ‘cannabis’). In a letter to the Times Newspaper, Francis Wilkinson, former Chief Constable of Gwent (and a Transform patron), made the point that it is the economics of a completely unregulated market that fuel the emergence of the stronger forms of any drug. This very point was prominently put to the ACMD cannabis reclassification hearings (in writing and in the oral presentation on the day) by Transform’s Steve Rolles, (as well as being raised by him on the BBC's Today program last week). This is the final tragic irony of Brown’s emerging expertaphobia; The ‘skunk’ problem he proclaims to be seeking to address has actually been largely created by the very enforcement-led solution he now wants to intensify. Back in January the Transform blog reported on how Richard and Judy, 'the nations favorite TV couple', had come out in support of drug law reform (backing the recent report advocating moves towards legal regulation of currenly illegal drugs from North Wales Chief Constable Richard Bunstrom). The call came in the unlikely medium of their regular column in the Daily Express. "...as a social policy, the criminalisation of drugs must surely be recognised for what it is: an abject failure. Cocaine, heroin, speed and, yes, Ecstasy, have never been more widely available or cheaper to buy. Their illegal sale on an industrial scale nourishes a huge, sprawling and hydra-headed criminal underclass. All Richard Brunstrom – with, by the way, the broad support of his police authority – is really asking is for a sensible debate on how we move on from the failed drug policies of the past." This seemed like a bit of a scoop. They may not be the countries leading intellectuals but they are the very definition of mainstream and reading the really rather thoughtful and well argued case from Madely made me feel like, perhaps, the tide had turned in the popular consciousness in terms of entrenched support for a never-ending 'war on drugs'. Judy : "My personal feeling is that legalising drugs is in fact the only way to combat the horrific crime element which is without doubt the worst aspect of illegal drugs in this country. I think it's hopeless to try and convince a lot of young people that they shouldn't smoke cannabis, as it's already a large part of their lifestyle. But I do think that not everybody should smoke it - we have heard of many reports of psychosis in kids who use it regularly." Richard : "I agree with Judy. You'll never get the government of the day to decriminalise drug use. We have met senior politicians who privately agree that it would reduce street crime and robberies at a stroke - but the political cost is just unthinkable. If it were down to us we would have a joint programme of decriminalisation that would totally stuff the dealers and also introduce a massive public education." An interesting book review in today's Observer of 'Mc'Mafia: Crime without frontiers' by Mischa Glenny. 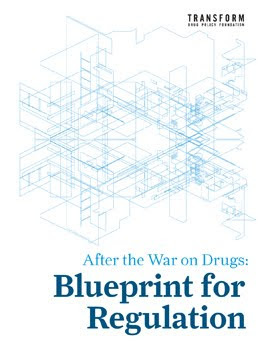 The book examines the world of organised crime and, unsurprisingly perhaps, inevitably alights on the role of the illicit drug market at the heart of many of the most profitable enterprises, the reviewer noting the reality that: 'when goods and activities are illegal, it's the criminals who make the profits' . If the writing is occasionally a little colourful, the conclusions are mostly sober and sound. Glenny correctly identifies the contradiction of the Wars on Drugs and Terror, in which the illicit trade created by the former sustains the enemy in the latter. Below is a short video of the McMafia author confronting Canadian Prime Minister Stephen Harper at the recent NATO summit in Bucharest about how "the Taliban are the biggest backers of the of the War on Drugs." Harper responds typically ineffectually with more talk about how "demand reduction requires a change in the culture." So...on the announcement itself, well it comes as no surprise as regular readers will know. The details leaked to the BBC were scant and Downing street has hurriedly denied that this is the whole story. It probably isn't. I fully expect the ACMD report to make a series of other policy recommendations along with their inevitably thorough analysis. They will emphasise the risks, focussing on mental health issues. They will certainly repeat their calls for a big public education push - no doubt highlighting the particular dangers raised by the increasing prevalence of stronger cannabis - probably with specifics about how it should be targeted at the most vulnerable groups. This, they will argue, is likely to be a more effective response than increasing penalties. They will re-emphasise that the classification system is about ranking relative harms (and not sending out messages that suit politicians at election time). They will probably call for research on various areas where the data is a bit thin and understanding either poor or emerging. They may dabble with some ideas like fixed penalties for possession offenses, but I doubt it. I also imagine that ACMD chair, as a last flourish before he retires, will make sure there are some fairly clear statements about how the review and the cannabis debate has been driven by tabloid and party political agendas (Nothing could be clearer than today's utterly ludicrous statement from drug warrior jack-in-the-box David Davis who says that Brown should not even have consulted them) . What Brown will now do is moot, but he is no idiot and will have been well aware that the committee was likely to come to the conclusion it has, probably when he called the review in the first place (barely two years after the previous one - at which the c decision had been almost unanimous), and certainly before he made his comments earlier in the week at his monthly press conference. He now faces an entirely self made dilemma, as Philip Jhonston at the Telegraph has identified. He either overrules the committee and forfeits any last vestige of scientific 'evidence based' credibility his drug policy may still be clinging to, or he accepts their conclusions and leaves him self open to populist reactionary clowns like David Davis scoring points against him in the right leaning tabloids. I'm not remotely sympathetic as he has created this problem entirely for himself with his blinkered pre-election moral posturing. One thing is clear - this is all about politics now. some ill thought out knee-jerk enforcement measures, probably focusing on evil 'cannabis factories', maybe some new police powers (to keep them happy). lashings of self righteous rhetoric about protecting the kids, evil, scourges, and so on. Theres no good way out of this. The whole thing has been an embarrassing waste of time whatever the outcome. Reformers wont celebrate - the legal regulation debate, even the wider debate around the classification system, has been largely lost in the fire fighting. The hang'm and flog'm drug warriors wont have anything to celebrate even if Brown does go nuclear and move back to B; It really wont make any difference - his opponents will still find ways to attack him for prevaricating or ignoring his own experts, whilst the police will largely continue to enforce the law as they see fit, just like they did before. And people who want to smoke will continue to do so. Cannabis will remain more or less freely available and the young people of this country will be even less interested in what authority figures have to say about it. Listing this is more than just self aggrandisment - even if this is essentially a non-story (committee decides some thing as last time - shock) the Transform coverage reflects how our high quality work and commitment has paid off in terms of mainstream profile for a reasoned and credible drug policy reform position. Whilst not using drugs policy as a specific example these latest essays from the Centre for Crime and Justice Studies considering political distortions of the Home Office research and publication agenda will come as no surprise to anyone in the drugs field. well worth a look. On 31 March 2008 the Centre for Crime and Justice Studies published, 'Critical thinking about uses of research' (available here). The monograph includes two essays, one written by Professor Tim Hope and the other by Professor Reece Walters. They put forward a thoughtful and challenging critique of the commissioning, production and dissemination of Home Office research. 'Home Office suppression of criminological research that contradicts ministerial policy and opinion is a feature of this arm of government. The Home Office remains silent on all those topics that have the potential to reflect poorly on government and is not an institution that represents the British public'. Professor Walters calls for an academic boycott of any Home Office sponsored research. 'having placed such a premium on evidence based policy the government has failed to live up to that promise and has resorted to fixing both the process and publication of Home Office research to meet the political needs of the time'. Professor Hope is worried that officials and politicians can be tempted to be selective in their choice of the evidence used to illustrate success of programmes thus resulting in the exclusion of some data and the simplification or misrepresentation of others.